If you've ever been part of a fundraising auction, you know how important it is to establish not only auction chairs and committees, but an extensive team of reliable, passionate volunteers. On the day of the event, staff and leadership need to prioritize mingling and networking with donors. This means well-trained volunteers are key to the actual execution of your event. To help assemble your volunteer "dream team," we've put together a list of 17 of the most important volunteer roles to recruit for your fundraising auction. Now let's go into what responsibilities each role entails. Here we will cover job descriptions for the first 8 - click below to get a printable PDF of the entire list. 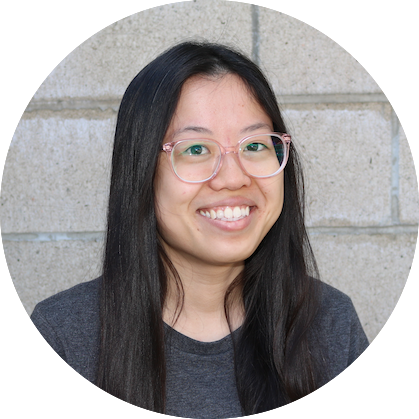 The Coordinator is your event-day 'choreographer', responsible for overseeing and managing all aspects of the Live and Silent Auctions and running the event timeline like a Swiss watch. Leading up to the event, the Coordinator has ensured all volunteers are well trained and adequately prepared. He or she is detail‐oriented, has a calm demeanor and good people skills, functions well under pressure, and is able to handle any crisis that may arise. You may wish to hire a professional Event Coordinator if you can’t find a volunteer suited for this role. Often required at larger events, this position serves as an extension and assistant of the Event Coordinator. Procurement team members solicit auction donations based on the goals for the Live and Silent Auctions. Following the initial ‘Wish List’ brainstorming session, create a contact list of prospective donors and an action plan. Create an auction procurement form with details on each item, to be submitted with each donation. Upon securing a donation, mark it on a collaborative spreadsheet and arrange for delivery of the item to the Procurement Recorder or Inventory Manager. This person receives items from the Procurement Team along with the accompanying auction procurement form. The item is assigned a tracking number and corresponding numbered label that will remain attached to the item until it has been sold, paid for, and delivered to the buyer. Only one person should fill this role to ensure tight control over what is being received and recorded. This person may also write thank you letters to donors and issue official tax receipts if applicable. The Inventory Manager is responsible for the secure storage of auction items. He or she ensures a numbered tracking label is affixed to each item, and places auction procurement forms in one of two folders: ITEMS RECEIVED or ITEMS PENDING (for items yet to be received). This person follows up on items not yet received. He or she also ensures all auction items are transported from storage to the auction site on or before event day, and that items not sold or awaiting later delivery are returned back to secure storage. 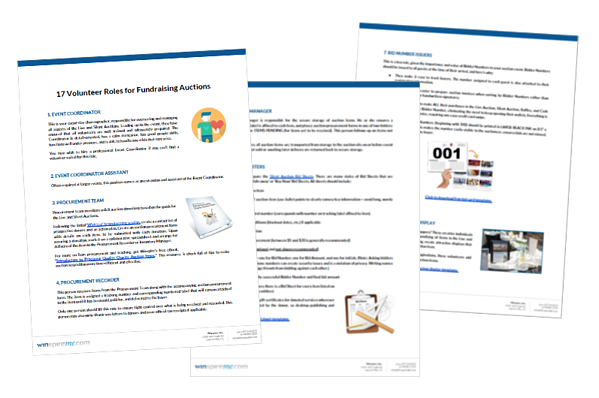 Bid Sheet Writers ensure there is a Bid Sheet for every item listed on the Auction Donation spreadsheet. They also prepares gift certificates for donated services wherever one has not been provided by the donor, so desktop publishing and design skills are an asset. They make it easy to track buyers. The number assigned to each guest is also attached to their registration information. It is faster and easier to prepare auction invoices when sorting by Bidder Numbers rather than trying to decipher handwritten signatures. Guests are able to make ALL their purchases in the Live Auction, Silent Auction, Raffles, and Cash Appeal with their Bidder Number, eliminating the need to keep opening their wallets. Everything is totaled on one invoice, requiring one easy credit card swipe. At minimum, 3-digit Bid Numbers (beginning with 100) should be printed in LARGE BLACK INK on 8.5” x 5.5” WHITE card stock. This makes the number easily visible to the auctioneer, ensures bids are not missed, and accurately identifies the buyer. Click here for a live auction bid card template. Know gifted decorators or wrappers? These creative individuals are responsible for the merchandising of items in the Live and Silent Auctions, and in so doing, create attractive displays that enhance the appeal of each auction item. Limited only by their own imaginations, volunteers add sizzle to ensure auction items capture the eyes and imaginations of as many donors as possible. What about roles 9-17? Fill out the form below to instantly view a printable PDF with job responsibilities for all 17 of these roles, plus links to more resources designed to maximize volunteers' efforts and save hours of precious time.